I made this card for my daughter's birthday on Tuesday. It took me an unbelievably long time I am so out of practice. 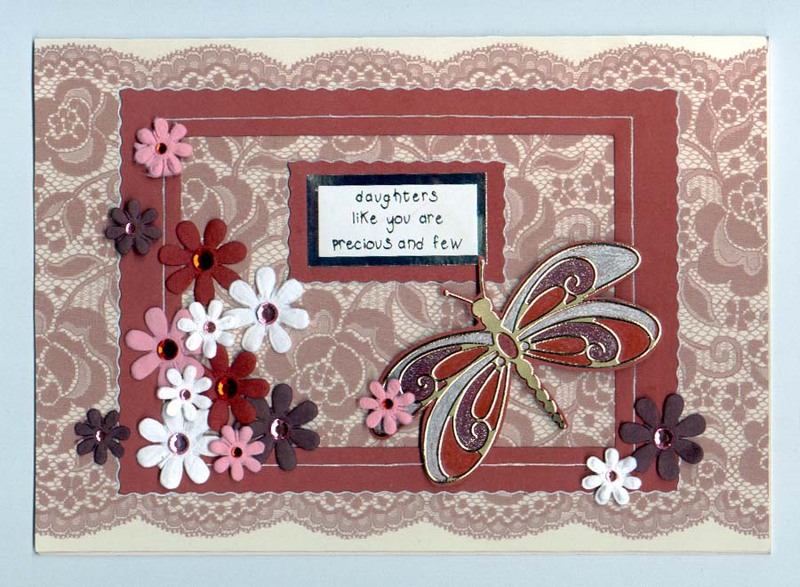 The lace background and flowers are from Joanna Sheen. The butterfly is a peel off mounted onto card, cut out and coloured with Sakura pens. I cut up an aperture blank card for the inner frame, message mount and butterfly mount and finished off with a touch of silver pen. I hope she likes it.